Have you been targeted by hackers? 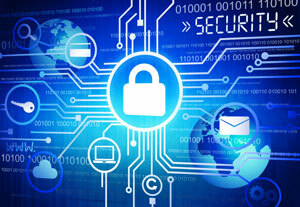 Cyber-attacks have become headline news on a regular basis. Cyber criminals target organisations of all sizes to steal data, extort money and cause disruption. According to the government, one in four businesses reported a cyber breach or hack in the past 12 months. Make sure your business does not become a victim. Our offices are located in King's Lynn, Norfolk, providing IT support services to clients all over the UK. Whether your business operates in East Anglia, Norfolk, Cambridgeshire, Suffolk, Essex, Lincolnshire, London, Manchester or Birmingham - our Business IT support services are available to your company. For more information, or to find out how we can help your company with IT security, please click here or contact us on 01553 636444. "We can highly recommend them as reliable, professional and cost effective provider of I.T. services." " I can confidently recommend System Three Business Solutions as a reliable provider of I.T. support and experts in their field."